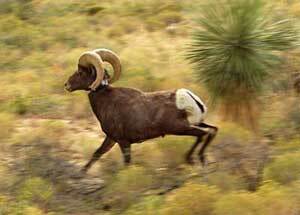 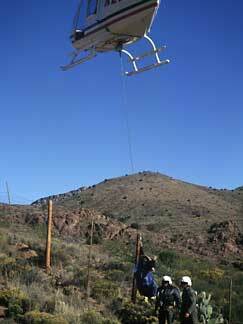 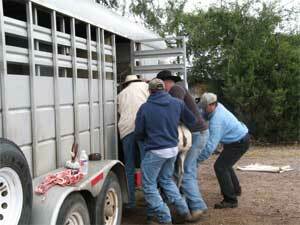 Information regarding bighorn sheep population status and the New Mexico management program. 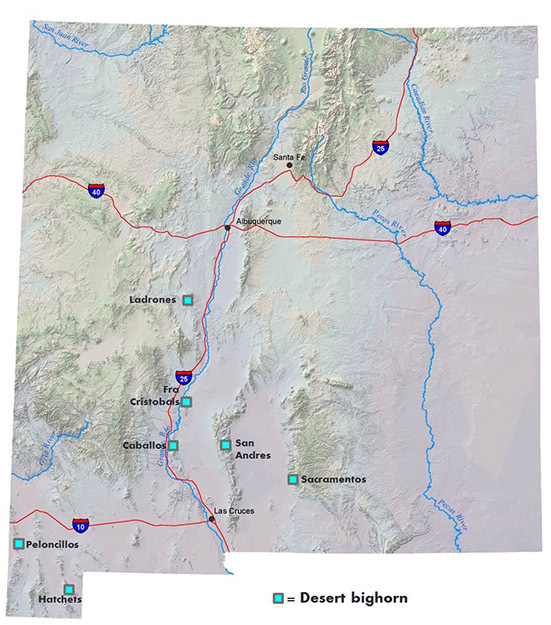 Click the tab headings below to learn more. 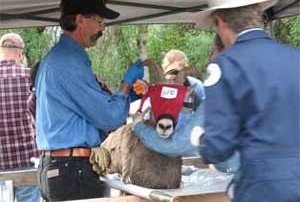 Potential Desert Bighorn Sheep Transplant To Sacramento Escarpment Top-Down Vs Bottom-Up: 35 Years as a Field Biologist an article in Boone and Crockett Club’s “Fair Chase” magazine by Eric Rominger, Ph.D., bighorn sheep biologist. 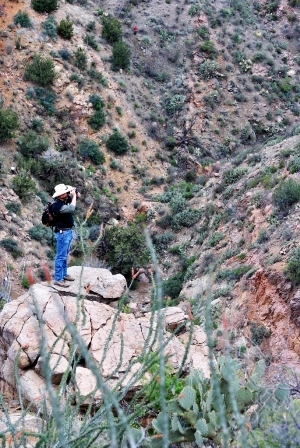 Biologist surveys for desert bighorn sheep. 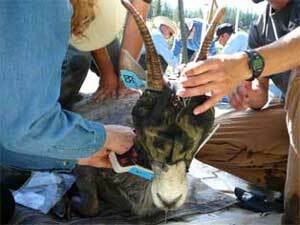 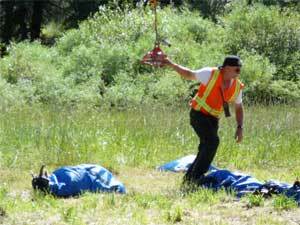 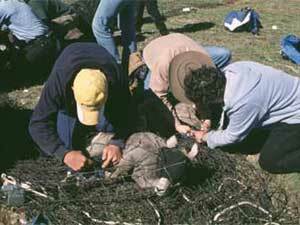 Disease is a primary threat to wild sheep populations throughout North America. 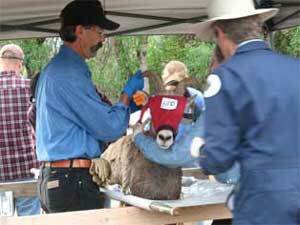 Most concerning are respiratory pathogens carried by domestic sheep and goats. 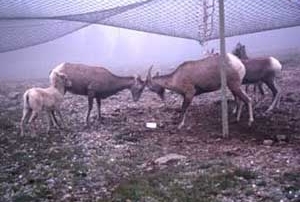 Although domestic sheep and goats are unaffected by these pathogens, cross-transmission during comingling events can result in severe pneumonia and potentially disastrous die-offs in wild bighorn sheep populations. 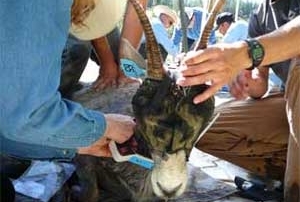 Preventing disease transmission from domestic sheep and goats, in free-ranging or penned flocks, is essential to maintaining healthy and viable bighorn sheep herds. 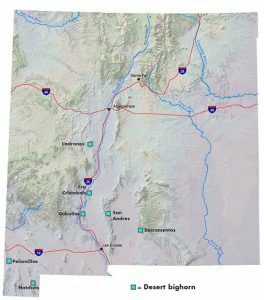 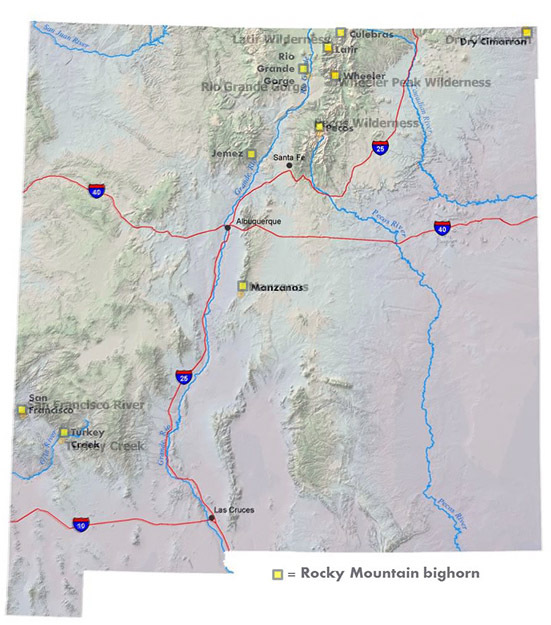 When assessing release areas for translocated bighorn, wildlife managers consider the abundance of domestic sheep and goats in an area, as well as their proximity to potential bighorn habitat. 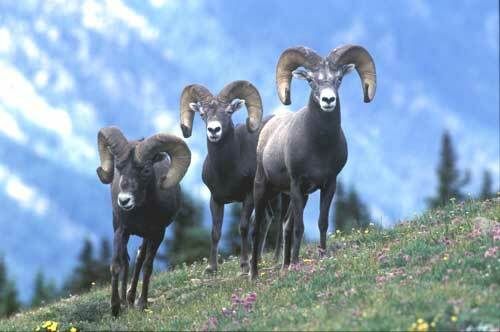 However, it is not uncommon for bighorn to go on forays or exploratory movements outside of their core ranges. 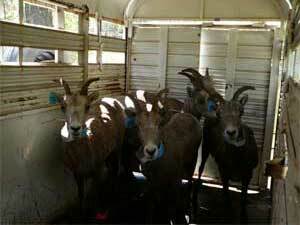 There is also potential for domestic sheep and goats to escape or to not be ‘gathered’ at the end of the grazing season. 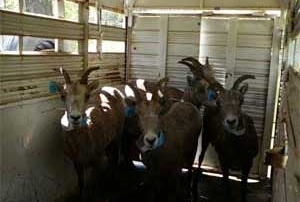 Greater overlap between wild sheep and domestic sheep and goats will increase the likelihood of disease transmission. 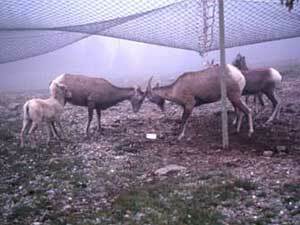 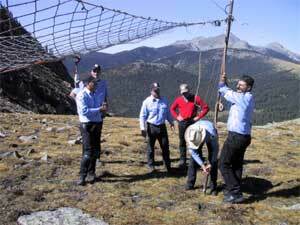 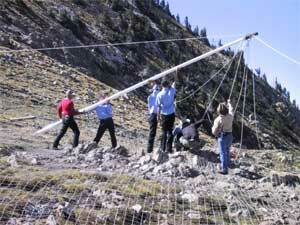 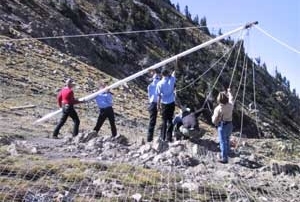 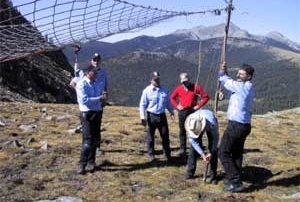 Many states rely on cooperation from neighboring stakeholders and members of the public to improve separation techniques and to alert state wildlife management agency personnel when contact between wild sheep and domestic sheep and goats is observed. 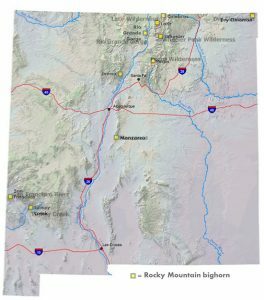 Although New Mexico has not experienced as high a level of pneumonia mortality as other western states, it remains a significant risk to New Mexico bighorn sheep. 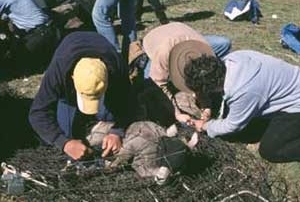 Further information on the risks of disease transmission can be found at the links below. 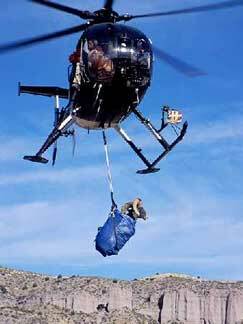 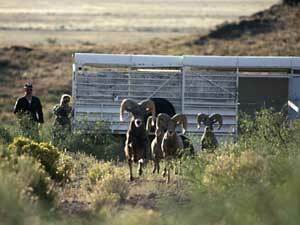 In November of 2014, the New Mexico Department of Game & Fish captured and relocated 66 desert bighorn sheep in Southern New Mexico. 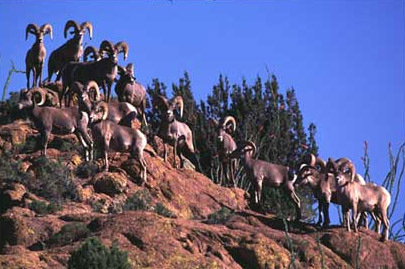 Twenty-eight ewes and thirty-eight rams were successfully captured at the Red Rock Wildlife Management Area and the Fra Cristobal Mountains, and relocated to the Big Hatchet Mountains. 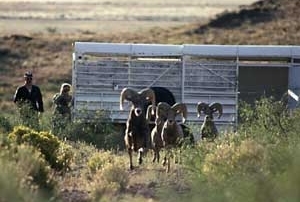 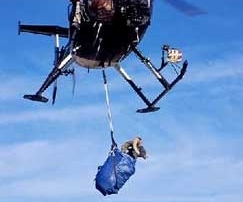 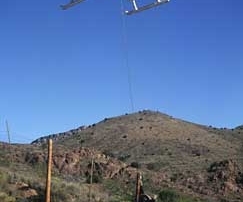 The operation is part of a recovery and management strategy that has significantly increased New Mexico’s population of desert bighorn sheep from 170 in 2001, to nearly 1000 today.